Many people like taking their vacation break during the peak summer months of June and July, and as a result, booking a dream luxury vacation rental for summer is often extremely competitive. Finger Lakes vacation rentals are always in demand, but especially get snapped up between early and mid-summer. So, what can you do to ensure you get your dream getaway near the lake? 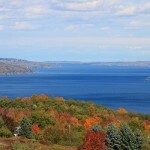 Make plans to vacation in the Finger Lakes during early Fall. Planning ahead for an early Fall vacation involves scheduling your time off during the weeks of October and even into the first week of November. The weather is still great during this time of year, and you’ll have access to all of the fun activities that take place in the surrounding communities. In early Fall, there are still plenty of festivals, plays and natural park activities to keep you entertained. Where Are the Best Places to Stay in the Finger Lakes? Without a doubt, vacation rentals situated in a picturesque natural setting are the best way to go when visiting this area. That is, of course, if you’re seeking the most luxurious accommodations that allow you to have freedom of movement, and best of all, lots of privacy. Stay in this cottage style four bedroom, three bathroom home situated on the West side of Skaneateles Lake. Stand out accommodations include living room with a view of the lake, fireplace , upstairs and downstairs kitchens with wet bar and cathedral ceilings. Kick back and enjoy a glass of wine that you bought from Anyela’s Winery, located nearby. Need a large luxury home for up to 10 people? This home has plenty of room for everyone. It features a spacious open living area on the first floor, large kitchen with kitchen island and two and a half bathrooms. Downstairs is a master bedroom with a king sized bed and walk in closet, and the upstairs loft has a queen size sofa bed. Prepare meals at home or eat out at the nearby 1820 Restaurant. Enjoy upscale living at its finest in this 3600 square foot luxury property located in an historic building. The penthouse has three levels including a living room area with a fireplace, chef’s kitchen and deck space. 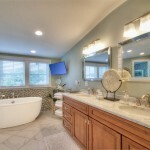 The private master bedroom suite offers a magnificent lake view, and a relaxing Jacuzzi tub. Guest bedrooms are equally as impressive. Fall has arrived in the Finger Lakes, but that doesn’t mean the fun and festivities are coming to an end. 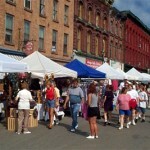 If you love to eat local foods, drink local wine, beer and other libations and enjoy being entertained by toe-tapping music, or listening to humorous stories, there are plenty of activities that involve one or more of these things and we have the perfect Finger Lakes luxury vacation rental for you to stay at while you’re enjoying September. While the weather is still sunny and warm come and visit the remodeled Ithaca Commons and enjoy some great live music. This is the last day of the popular summer concert series and The Sim Redmond Band is sure to put a smile on your face with their upbeat tunes such as Life is Water. Bernie Milton Pavilion. Free. 6pm to 8pm. September 10. Hosmer Winery is having a party and you’re invited to help them celebrate at their annual Harvest Party. The festivities are located outside the winery’s tasting room, and you’ll be treated to live music, local cuisine, wine by the bottle or glass and a spectacular view of the vineyard. This is a free event, and you’re welcome to bring lawn chairs and kick back.12pm to 6pm. September 12. Adults and kids will have a great time at this annual 2-day festival. The festivities kick-off on Friday with regional beer and wine tasting from 5pm to 6pm throughout the Gaffer District. Later, enjoy a performance by Lao Tizer at Centerway Square Stage. On Saturday, find local crafts, food and children’s activities at the Farmers Market at Riverfront Centennial Park from 11am to 5pm. Mark Wills performs at Centerway Square Stage at 5pm. Free. September 18-19. Emmy winning humorist Bill Maher brings his brand of “no holds barred” comedy to Rochester. Maher is host of HBO’s “Real Time” with Bill Maher, and previously hosted “Politically Incorrect” on Comedy Central. A stand-up comedian since 1979, Maher, who attended Cornell University, performs for audiences around the country. Show starts at 7:30pm and tickets are $39-$95. Go to rbtl.org for ticket information. September 27. Wine isn’t the only libation New York State does well – we make some pretty great-tasting apple cider too. Come and taste all the wonderful flavors of apple cider created by cideries across New York State. 6pm to 8pm. Admission: $10 per person. September 30. Looking for a nice place to stay while you’re here? We have an awesome selection of Skaneateles luxury rentals available right now. Browse our Skaneateles vacation rental homes and pick the one that suits your personal tastes best.